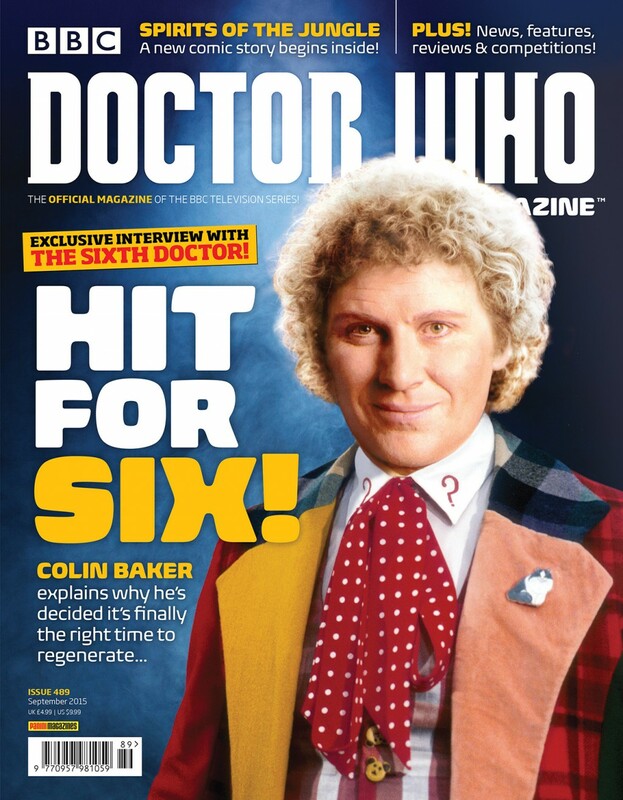 THE SIXTH DOCTOR, COLIN BAKER, REVEALS WHY THE TIME HAS COME FOR HIS REGENERATION, IN DWM 489! Ellis George, the actress who plays cheeky schoolgirl Courtney Woods talks to DWM about travelling in the TARDIS, and what its like to be a teenager starring in Doctor Who. The Fact of Fiction takes a close look at the 1974 serial The Monster of Peladon, and digs deep to unearth fascinating new facts about this Third Doctor adventure. There’s ghostly goings-on for the Doctor and Clara in a brand-new comic strip adventure, Spirits of the Jungle by Jonathan Morris, illustrated by John Ross. Doctor Who’s showrunner Steven Moffat answers readers’ questions – and comes face-to-face with his 10-year-old self! The Time Team fight for space behind the sofa as they watch David Tennant’s penultimate, chilling story: The Waters of Mars. DWM talks to the people involved in the latest Doctor Who CD releases, including Bonnie Langford, Nicholas Briggs, Lisa Bowerman and Mike Tucker. Doctor Who Magazine 489 is on sale from Thursday 23 July 2015, price £4.99.